The regular weekly sessions have now finished for the Summer. We can now look forward to our Prize giving night next Friday 8th June, and the Summer Camp, on August 6thand 7th. – see below. This weekend a large group travels down to the Leon Paul Junior Series near Edinburgh. Friday June 8thfrom 7pm onwards, Lerwick Boating Club, South Commercial St.
As well as presenting some club trophies, we will be having a raffle, and a quiz. We ask everyone to bring along food for a buffet supper and a raffle prize if possible. There will be plates, cutlery etc at venue and drinks will be available at the club. Suggestions for food are as below. With a bit of luck, we will get a good spread of things on the list, but when you let me know if you are coming, could you let me know what you can bring, then if everyone says pizza, I can panic and get in touch again. cakes, trifles, fruits etc for puddings. Clickiimin, Monday and Tuesday, August 6thand 7th. 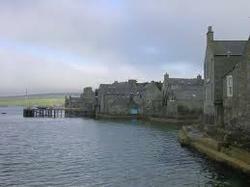 For those of you that know the Orkney trips, this is the same, but in Shetland. For newer fencers, this is a great 2 days, welcoming fencers from Inverness, Elgin and Orkney Clubs, for training, games and a fun competition. The visiting clubs will be arriving either on Sunday or Monday and leaving on Wednesday. Apart from the fencing on the Monday and Tuesday we will arrange a meal out, (Chinese probably), on the Tuesday night. We would like to cater for all the fencers during the days at Clickimin. We need some volunteers to provide some food, and to be around to organize at lunch and break times. There will be a fee for fencers for the 2 day camp, as we will take over all of the Clickimin Hall. To set the fees as low as we can, we need to know numbers of fencers taking part as soon as possible please. If you are able to help with food on the Monday and Tuesday, please let me know and we will arrange to meet to organize that. PLEASE REPLY AS SOON AS POSS TO LET ME KNOW WHETHER YOU WILL BE COMING (OR NOT) TO PRIZEGIVING AND / OR SUMMER CAMP. As usual please get in touch if there is anything you need to know or ask.